Think you can’t take that beach holiday/climb that mountain/meet the love of your life until you reach your goal weight? 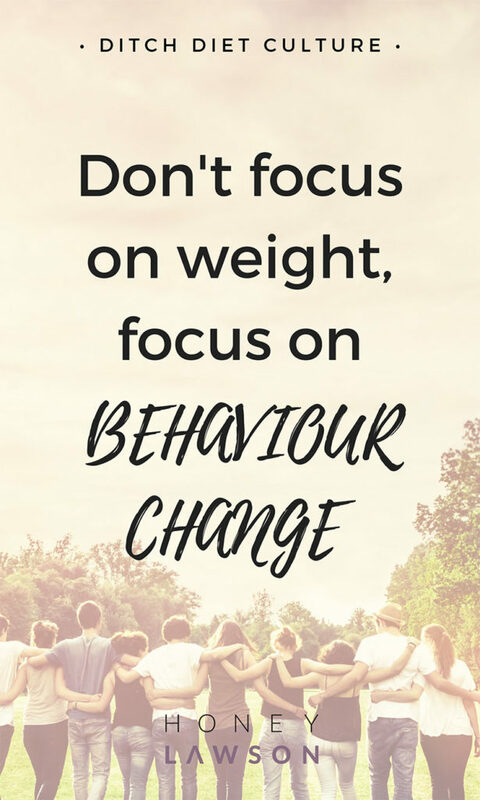 Well your weight won’t make these things happen (or not), but your behaviour will! It’s about time we took the focus off wanting weight loss, and instead implement healthy habits that ACTUALLY make us healthier on the inside and out. With this we can also create better body image and have increased energy levels! We’ll be in the prime position to achieve our goals. What changes can we implement to make a difference? There, I said it! This means getting rid of that number in your head, because it is just not important. The more focussed we become on a number, the more we allow that number to impact our everyday behaviours. If the scale hasn’t tipped in the ‘right’ direction, we either feel depressed and unmotivated, or perhaps even want to sabotage our whole healthy eating plans because ‘they’re just not working’. So let go of the number, and focus on things that we can control. How do you want to feel? What do you want to be able to do? Think of a goal that isn’t orientated around a number that only represents the effect of your body on gravity! Acknowledge rules you’ve been following, then ditch them! Not on a diet at the moment? Never been on a diet? Clients say this to me all the time – ‘oh I’m not on a diet’. Yet when I ask them if they give themselves unconditional permission to eat… ‘well no… I don’t eat gluten, only have carbs before 6pm, avoid sugar during 10-12….’ Etc etc! These restrictions may as well be a diet. And these rules are causing a disconnect between your mind and your body. Your mind doesn’t trust your body to eat when it’s hungry, and stop when it’s full, so it has imposed rules. How can you expect to even remember what hunger and fullness feel like when you are so blatantly ignoring your body’s own cues? Ditch the rules and get back to a way of intuitive eating. Check out my Facebook Page to see a live video I recorded explaining a great example one of my clients gave me about how her imposed rules were working against her body! As a health coach, I practice intuitive eating, and help my clients return to the way of eating, and trusting the body, that we developed from birth. When we are in tune with our body, we can recognise hunger and eat accordingly, satisfying cravings and fuelling our body appropriately. In my online course with Janey Holliday, The 10 Minutes a Day Bootcamp, I discuss in more depth habits that you can implement to move away from weight based goals, and transition to being fit for your purpose, whatever that may be. We also delve into female body image, Health at Every Size, and self-coaching exercises to unleash your full potential. You can sign up for a free trial here, and if you love it, then I hope to see you on the full 12 week course! If you are interested in amore tailored approach to getting back in touch with your body and returning to intuitive eating then get in touch for a free Health History Exploration Call here.